An inscription that raises more questions than in answers… Why the apologies and thanks? This image was produced for Time and Tide Magazine and is part of a series that also included images of Shaw’s friends and fellow authors H G Wells and G K Chesterton as well as King George V and the young Princess Elizabeth. You can find these images and more from the time in the National Portrait Gallery which received them as a donation from Mrozewski’s grandson Andrzej who has produced a fantastic website dedicated to his grandfather with a comprehensive chronology of his long and productive life. 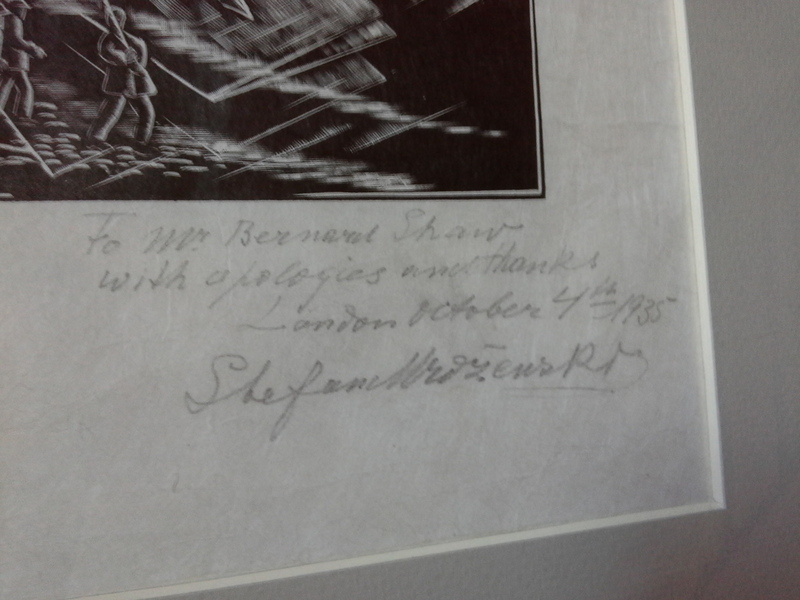 One of the things we love so much about this image is the rich details that surround the writing Shaw. 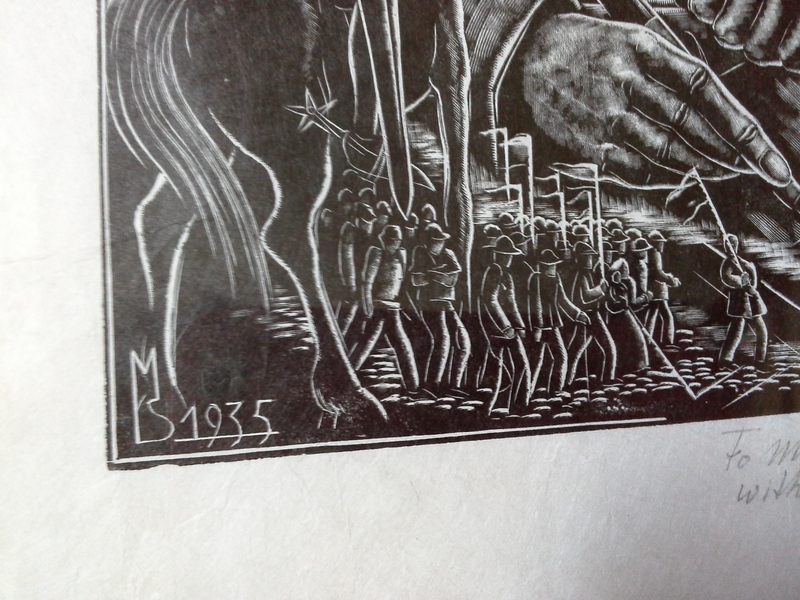 Mrozewski picks up little images from Shaw’s work and reputation and put them into the picture. He does the same in his print of H G Wells which you can see here and is full of references to War of the Worlds. 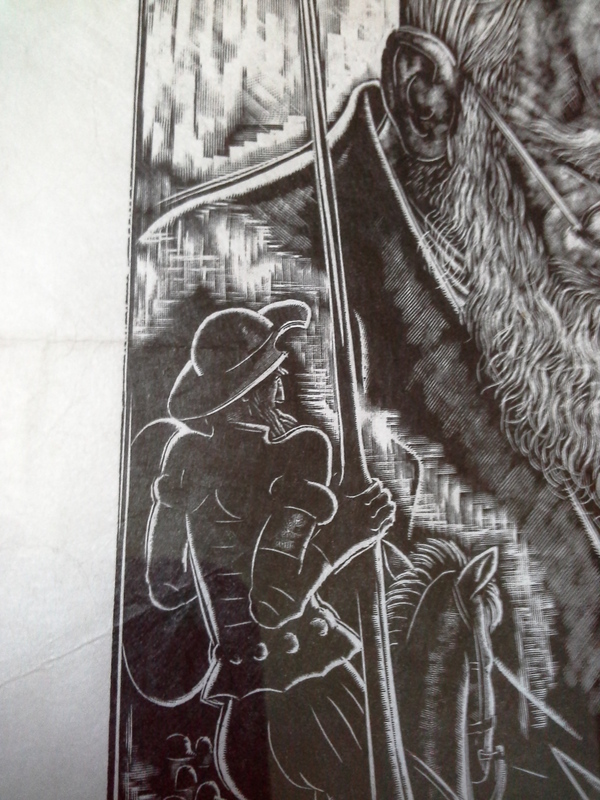 In Shaw’s portrait we see St Joan at the stake and Don Quixote that looks remarkably familiar, riding off to battle. 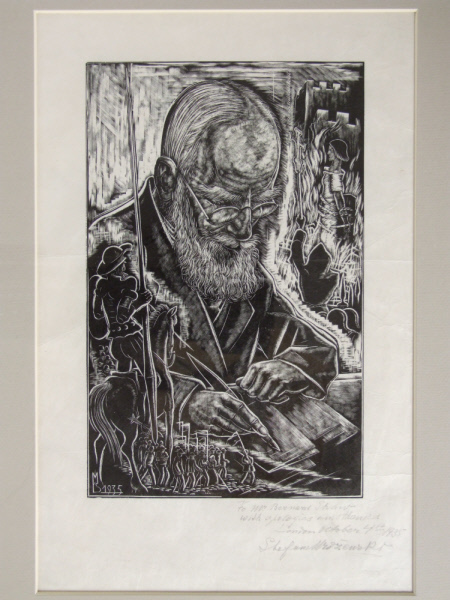 This entry was posted in Art, Collections, Object of the Month and tagged George Bernard Shaw, National Trust, Object of the Month, Portrait, Prints, Shaw's Corner, Stefan Mrozewski, Wood Cut. Bookmark the permalink.